The pop-up cafe in the renovated Vanaudenhove pavilion in the middle of Koekelberg’s Elisabeth Park is the result of a crowdfunding campaign by motivated citizens. Not only has it brought the community closer together, it also attracts people from all over the city. Surrounded by trees lovingly decorated with lanterns, it’s especially magical on mild summer nights. Come by to have a drink, play cards, enjoy a concert or watch a movie under the stars. This is probably the closest you can get to a beach day in the city: perfectly located on Scheeldekai in Antwerp’s Eilandje, the city’s oldest port area surrounded by water, Jardim combines a colourful bohemian-style lounge area with stunning skyline views. Bury your feet in the sand, snack away at the barbecue and watch the sun sink into the Scheldt with a cocktail in your hand. In the past seven years, the abandoned industrial site amid Ghent’s old docks has turned into a hotspot for relaxation and creativity, providing a charming city beach and a platform for diverse cultural projects during the summer. Reminiscent of an enormous playground for kids and adults, its many activities and attractions from a restaurant and volleyball fields to concerts, exhibitions and flea markets make it easy to spend the day here. New this year: kayak and canoe rental. 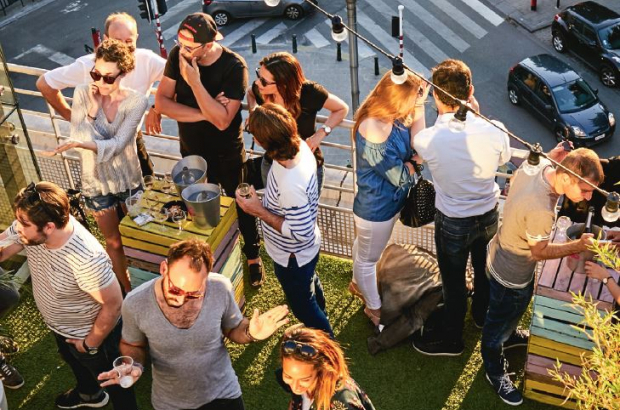 Open-air sky bars are scarce in Brussels, which is why you might encounter quite a queue in front of the elevator at Crosly Bowling at the foot of the Sablon. Every summer the guys behind a local record label take over the unused rooftop and impress with stunning views over the city and a carefully curated electronic music programme that attracts a dance-happy crowd. As the weather makes or breaks the location, there’s an app that keeps you notified about the opening times (search for Play Label Rooftop on Play Store or iTunes). Brussels’ parks are playing host to more and more guinguettes, French for open-air refreshment stands. The bar that launched the trend was this one, now in its third summer. A lovingly upcycled abandoned shed has become one of the city’s cosiest and most easy-going summer hangouts that offers not only organic drinks and food but also concerts, yoga classes and markets. Kids will love the oversized sandpit. The brainchild of a bar owner, a chocolate maker, a restaurant owner and a brewer, Woodpecker Royal is popular not just for its prime spot in Brussels’ Royal Park but also for its delicious local menu. Under shady trees you can enjoy ice cream from Saint-Gilles, coffee whose beans were roasted in Brussels or a refreshing Zinnebir brewed in Molenbeek. 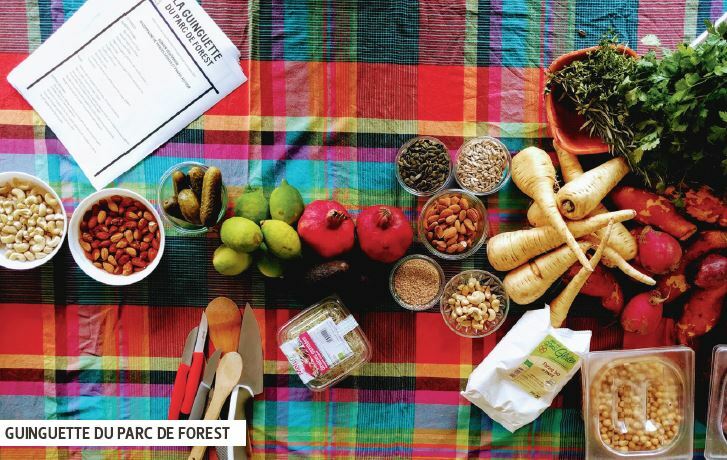 There’s a second Woodpecker outpost in Bois de la Cambre, one of the city’s biggest green oases.